Just a quick post to let you know we are sponsoring BrooklynJS and that we are giving away two free tickets to this sold-out event. community-curated lightning talks with musical interludes and a custom commemorative laser engraved token of the event, which can optionally be redeemed for a craft beer, wine, or soda. For Transloadit, Jed Schmidt will be raising awareness about tus. Our open protocol for resumable file uploads is nearing its 1.0 release, and we are calling for a final round of feedback from all developers with an interest in file uploading. 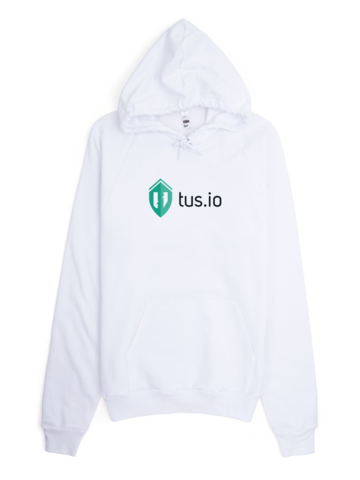 Jed will also give away 3 stylish tus hoodies! And if that is still not enough - there will also be some local craft beer / soda and you can look forward to geeking out with the other attendees during the bevera.js social hour(s). So, if you're in New York on August 20, be sure to let us know on Twitter for a chance at the last 2 tickets! Update - The lucky developer to win the free tickets was Alex Baldwin! Congratulations and have a great time!